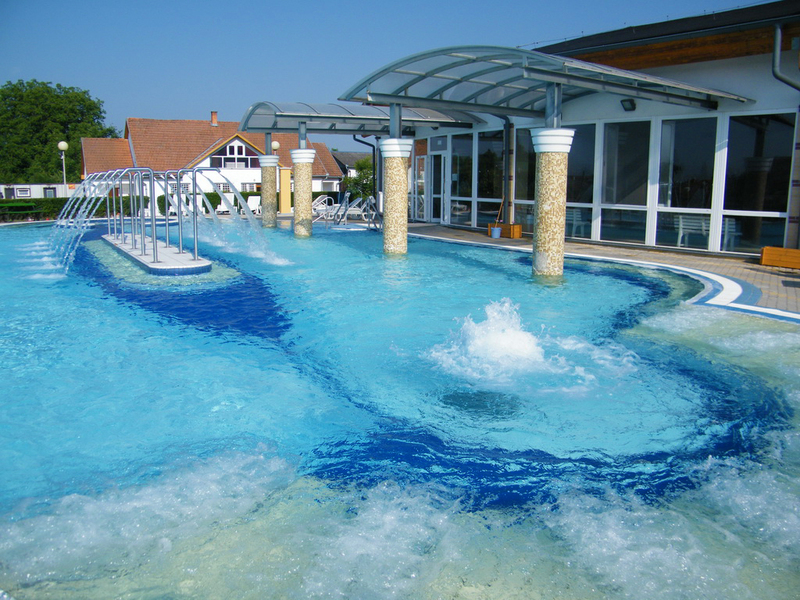 Located at 2 km from the junction of the 3 rivers Szamos, Kraszna and Tisza, the Szilva thermal and wellness spa was built just next to the little Kraszna river nearly 10 years ago. 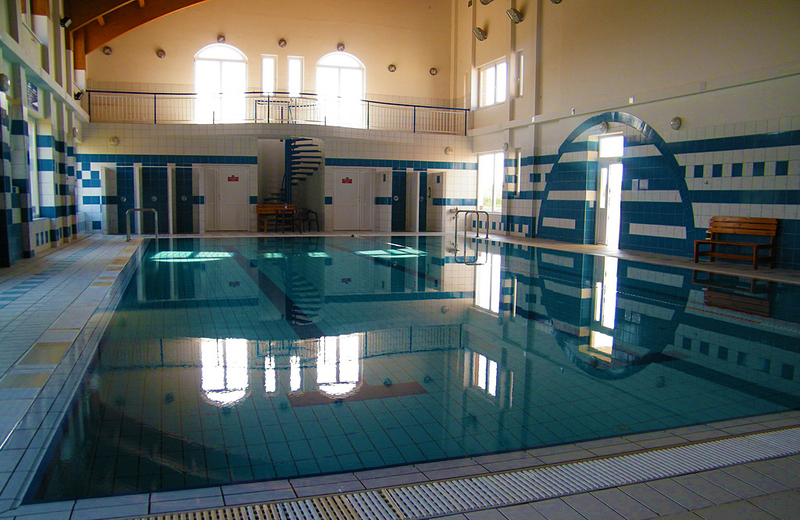 3 indoor and 1 outdoor pools (thermal, entertainment and swimming pool) are waiting our guest all year. A water nursery is waiting for the young children in the building. 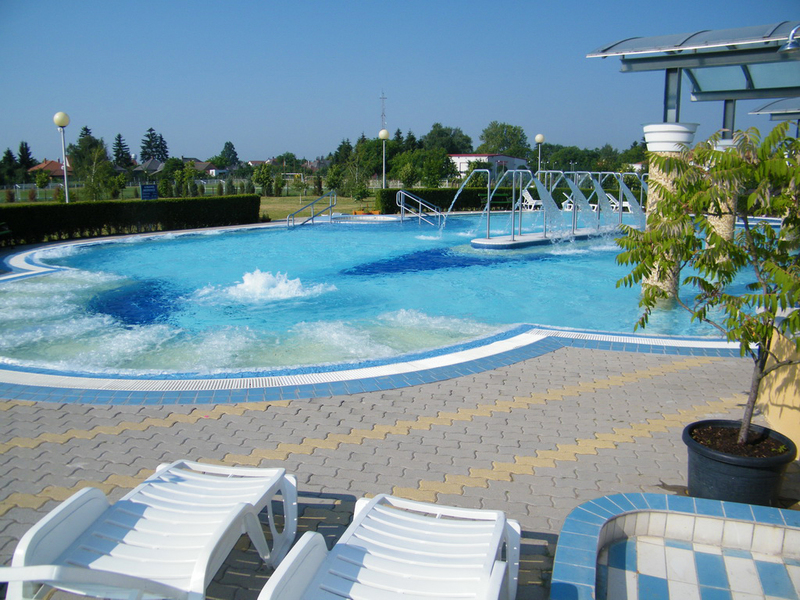 Coming from a depth of 700 meters, and reaching surface at a temperature of 45°C, our alkaline hydrocarbon thermal water contains high amounts of sodium, chloride and sulphate. Its active ingredients are beneficial in the treatment of gastrointestinal, articular and chronic gynecological diseases, and also promote the healing of vascular diseases. The water was qualified as “mineral water” in 2011 and was declared “medicinal water” in 2014. 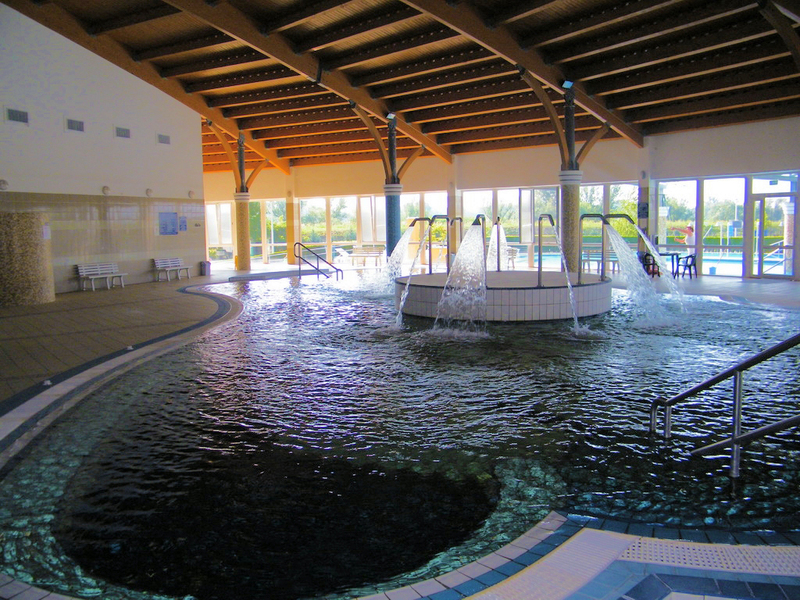 Guest can count also on the availability of a whirlpool, the wet and dry sauna, the steam room and the refreshing, detoxifying effect of the various massages.